Anyone familiar with this gem of a movie? I’ll give you three guesses…. OK, I’ll tell you. Muppet’s Treasure Island. You must watch it. Immediately. Tim Curry is fantastic and the humor is off the wall and so fun. Here’s a clip to whet your appetite. The eleven year old inside you will love it. If you’ve never cleaned shrimp before, it can be a little gross. I make my husband do it for me. I can’t take the legs. *Shudder* I got the EZ Peel shrimp and it wasn’t too bad. Just peel off the shell, pull off the legs (ick) and de-vein them. You do this by slicing a shallow cut along the back of the shrimp and use the tip of the knife to remove the vein. Which is actually the intestinal tract. So yeah, you should probably take it out. 🙂 OK, on to what you’re actually here for: Grilled Shrimp Scampi. In a medium bowl, combine the olive oil, lemon juice, parsley, garlic, black pepper and crushed red pepper. 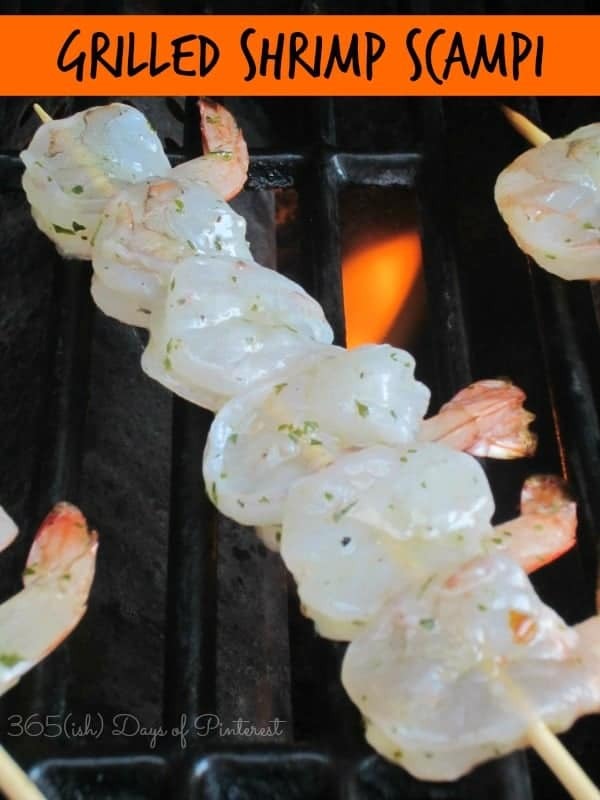 Thread shrimp onto skewers (if using wooden ones, be sure to soak in water for 20 minutes first), securing in two places (near head and tail). Cover with marinade for 30 minutes. Grill, brushing occasionally with extra marinade, for about 2 to 3 minutes on each side, or until done. 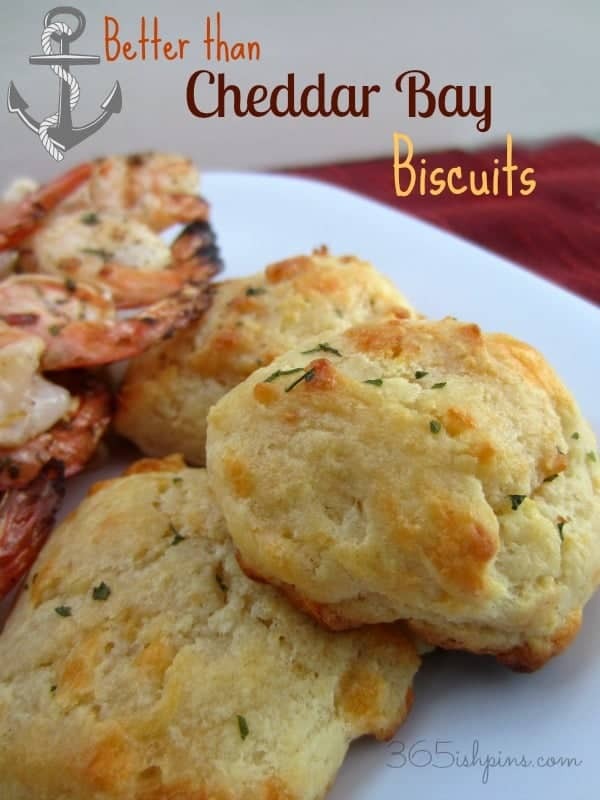 I made these Copycat Cheddar Bay Biscuits to go with the scampi and it was super awesome. I don’t recognize that name- we’ll have to check it out! A great – and inexpensive – place to buy frozen and cleaned shrimp is Grocery Outlet. Seriously, if you have one near you, it pays to check it out. Do you remember us making those copycat biscuits at PC? Seriously looks delish! This sounds and looks so fabulous! 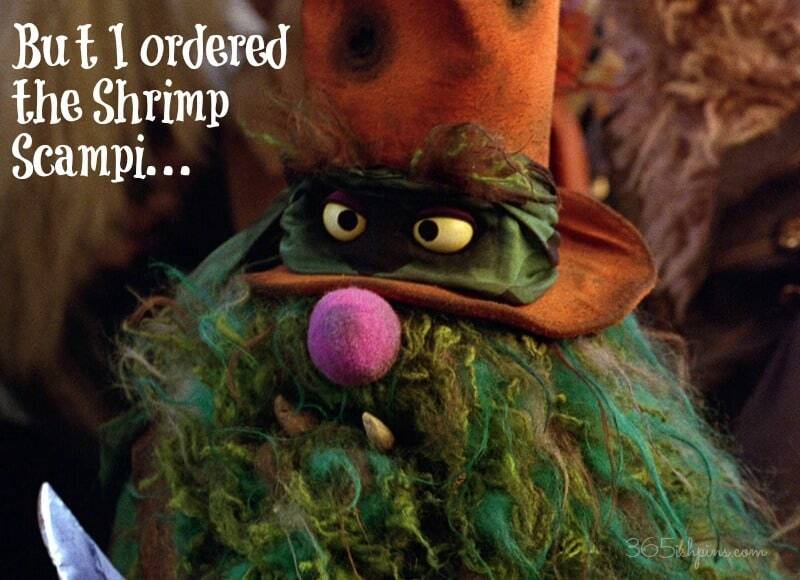 I love shrimp… yummy, yum, yum! (I also love The Muppets (insert crazy Kermit arms here*)! Thanks so much for sharing. Yum! I can’t wait to try this! Pinned and stumbled! Time for me to schedule a date night at home with my husband to try out your recipes. I love the shrimp. He loves the biscuits. The kids certainly don’t appreciate either one enough in my opinion. Little known fact……..I worked at a Chinese restaurant for about 15 minutes and one of my jobs was cleaning the shrimp. I learned right away how important it is to clean them properly. The owner in her accent told me that if I didn’t do a good job, I would kill her customers. Ummm…….cleaning shrimp really well now. These are both fantastic recipes Nicole. 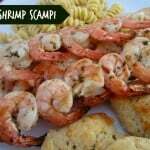 The shrimp seems much healthier than the traditional scampi swimming in garlic butter. It’s lighter and makes room for those delicious biscuits. 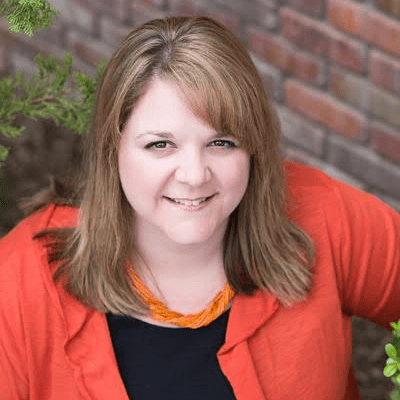 I am swooning from both recipes! What a great meal! It is almost grilling time here. I will be trying this recipe out as I am a major shrimp lover. Looks yummy! (If I could still eat shrimp, that is!) Stumbled and pinned! You can’t eat shrimp? That’s a sad, sad story!